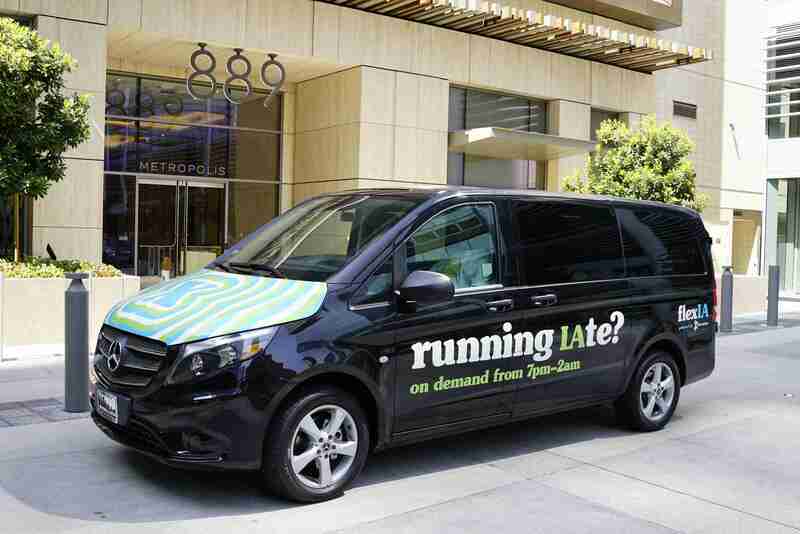 moovel has partnered with FASTLinkDTLA to bring Angelenos a new way to navigate Downtown Los Angeles – flexLA. FlexLA started as a community beta on October 2nd 2018. Now, Angelenos and visitors can get around anywhere in Downtown LA for an affordable flat-rate fare – $2/person per ride – point-to-point and on-demand, in one of our energy-efficient shared-ride vans, many of which are driven by United States military veterans. Just open the app and hail a ride wherever you are in DTLA, anytime between 4 p.m. and 2 a.m. 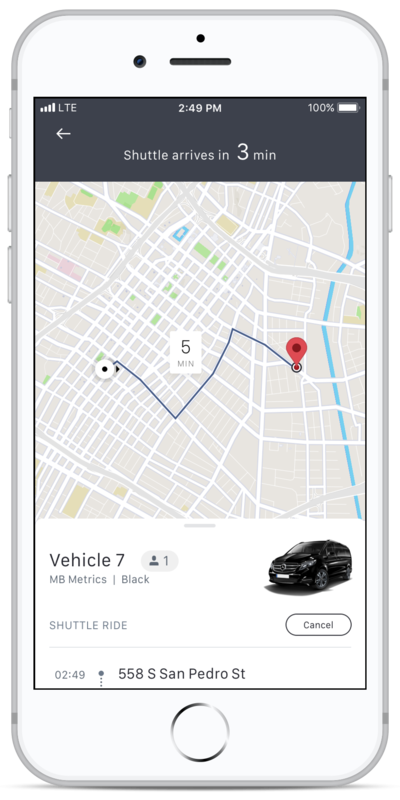 Within minutes you’ll be onboard and driven to your drop-off location in the company of friends and other passengers headed the same way. Low income users can register to ride for free, and those requiring wheelchair accessible rides can book them with our partner, Butterfli. 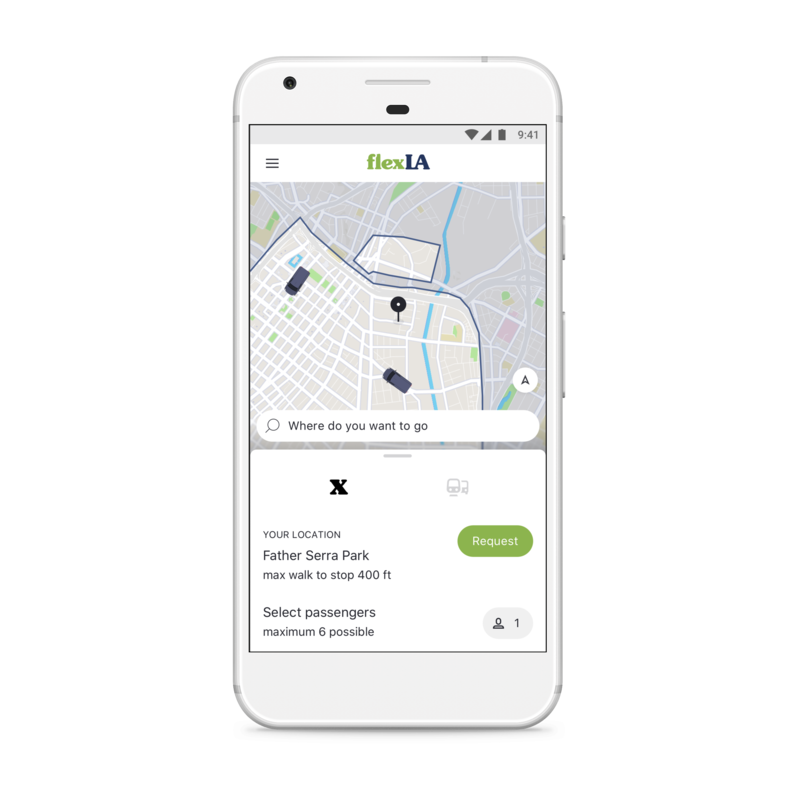 Look, book and pay for FlexLA’s on-demand ridesharing service. Have peace of mind with FlexLA’s predictable, flat-rate fare guarantee: $2/person per ride. Low income riders can register to ride for free. Users can request a wheelchair-accessible vehicle through our partner, Butterfli. Count on safe, comfortable rides with friendly, experienced drivers, many of whom are U.S. military veterans. App is available in English and Spanish. FlexLA operates 12 vehicles seven days a week throughout Downtown Los Angeles, from 4 p.m. to 2 a.m.